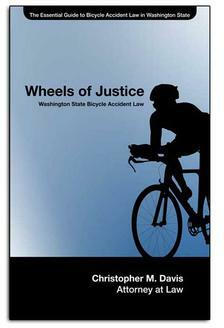 The victim of a serious bicycle accident has retained Davis Law Group, to represent him in possible legal action related to an accident that took place in June 2016 near Lynnwood in WA. While on his bicycle, W.Z. was t‑boned by a Mazda Miata exiting a parking lot. W.Z. rolled onto the hood. The driver and his insurance, GEICO, accepted full liability. W.Z. sustained a mild traumatic brain injury (TBI), suffers speech and concentration impairment, has a serious foot and leg injury and suffers hip pain. He is currently receiving medical treatment but may take months to fully recover. W.Z. was the victim of this horrible accident. The actions and conduct of the at-fault driver have been under investigation.